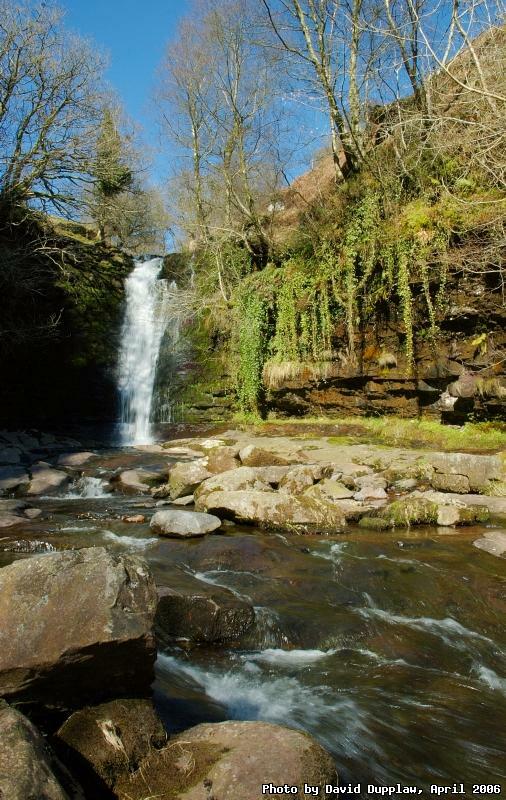 If you drive to Blaen-y-Glyn in the Brecon Beacons and go for a mile walk, you will come across this waterfall, bringing water down into the reservoirs at Talybont. The waterfall is around 20 foot high, and makes quite a bit of noise! It's possible to walk right up to it, although the rocks are very slippery when they get wet and covered in algae.